Gift Aid is an income tax relief designed to benefit charities like the South Essex Wildlife Hospital. If you’re a UK taxpayer, Gift Aid increases the value of your charity donations by 25% because South Essex Wildlife Hospital can reclaim the basic rate of tax on your gift at no extra cost to you. This means that for every £10 you donate, the UK Government gives us an additional £2.50. This form should only be filled in if you are a UK taxpayer. We cannot claim for non taxpayers or foreign donations. 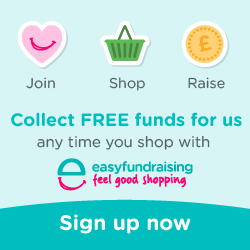 Use Gift Aid and you can make your donation worth more. For every pound you give to us, we get an extra 25 pence from the Inland Revenue. Please select the appropriate boxes opposite. I am a UK taxpayer (yes)(no) and understand that if I pay less Income Tax and/or Capital Gains Tax than the amount of Gift Aid claimed on all my donations in that tax year it is my responsibility to pay any difference.